The video, filmed by Hola Hola Film, with the soundtrack by Maciek Dobrowolski, immerses the kinetic info-sculpture by Polish interdisciplinary group panGenerator, into the deep feeling of loss, remembering World World II. Miara pokoju. 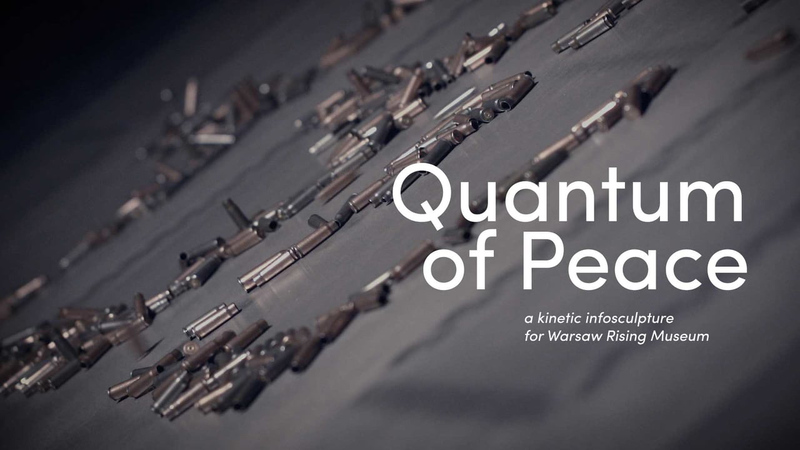 Quantum of Peace, 2015, interactive installation commissioned by by Warsaw Rising Museum for the celebrations of 71st anniversary of Warsaw Rising & 70th anniversary of the end of WWII in Europe.